The team at Bridgeport Carpets can appreciate the fact that a lustrous, recently finished hardwood floor is a thing of nobility. A warped, timeworn hardwood floor is not as elegant. A long time of overuse or neglect of sufficient maintenance can corrode the finish on your floors, causing them to become degraded and lose their radiance. Regardless of whether you've ever perceived your hardwood when it was unused and exclusively an addition to your space, you may begin to take note of it if it becomes drab, scraped or riddled with numerous grooves from moving furniture and high volumes of foot traffic. If you notice the appearance of your floor beginning to worsen, remember that there is still room for improvement. Bridgeport Carpets offers well-timed and exceptional hardwood floor refinishing services to the Alpharetta, Georgia area at competitive prices. 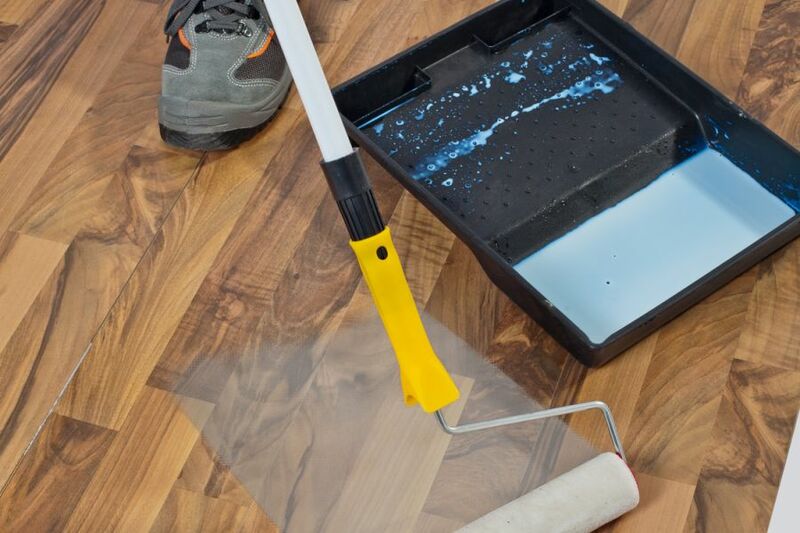 Our expertly trained and practiced refinishers will visit your home or office, revitalize your floors, and leave the wood looking as spectacular and exquisite as the day it was newly installed. When hardwood floors are put in, they're coated with a durable urethane base that lends them their fine luster and resilience. Diminutive particles of aluminum oxide in the coating make the wood even tougher and prolong the length of time before the finish is corroded. Despite the best of efforts, even the toughest finish can give in to constant exposure to dust and grime rubbing away at the top layer and allowing moisture and soil to soak in and mess up the wood. The most practical solution to this complication is to sand down the decrepit, worn finish and replace it with a completely new one. Bridgeport Carpets can take on the job, regardless of what it is. Maybe you're organizing a holiday gathering and need your room to look fresh and clean. Maybe you've recently moved into a home and want to fix the problems that the former owners let slide. Or maybe you just need to bring the new floor appearance back into your space. Regardless of what it is, we will handle it.